As the days have gotten warmer we have discovered we spend more and more time in the backyard accompanied by the dog. 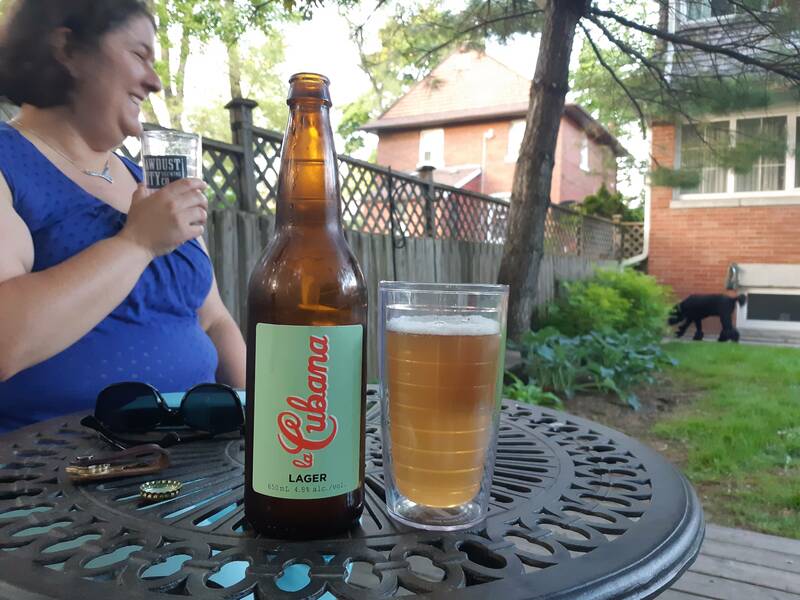 We also discover that while spending time in the backyard we have this strange need to have a beer – funny how beautiful weather and beer go well together. Today’s beer is La Cubana, a lager from Junction Craft Brewery. We picked this beer up right from the source at their new location in THE DESTRUCTOR. God I love that name. If I remember correctly we had the dog there too, so it’s fitting he was hanging out with us as we sampled the beer. It’s a simple enough lager that sits at 4.9% and is only available from the brewery itself (when they have it!). I sadly don’t remember the price – it was a bit of a dizzy night that also included Shackland’s, Rainhard and People’s Pint. We highly recommend doing the 4 brewery tour if you are ever in the area. Appearance: light straw. White head, faded fast. Aroma: Slightly bruised apple. Pizza dough. A bit of blueberry. Taste: It’s well balanced with a bit of cinnamon and grass, fresh cut. Overall: Light, easy to drink, great for patios.